Ever have an irrational fear you’re going to drown in paper files? Do you worry you’ll need a business loan just to pay for the extra space to store old documents? When a customer requests information, can your staff locate and retrieve it in a timely fashion? Many businesses are facing that they can’t handle their records and files in the same old way. They know they need to switch over to electronic filing, but they don’t know where to start or how to do so within their budget. We know every business is different – that’s why we find a solution that fits your size, industry, business goals, and culture. And we do it in a way that causes minimal disruption to your day-to-day operations. How many documents are moving through your organization? What percentage are electronic and how much is hard copy? Which of these documents are business critical? What physical constraints do you face? When you can’t retrieve key documents, what are the resulting costs, and how does it impact your customer service, regulatory requirements, and corporate security? How does your workflow compare to industry best practices? Is your staff trained in when and how to retain and destroy records in a compliant manner? What mix of solutions will fit your company? Will an Electronic Document Management system work for you? 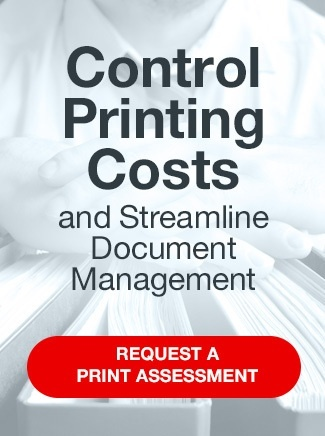 The best part about our assessments is learning there IS a way to cut costs, digitize your files, and increase office efficiency. Our assessments have tamed even the most complicated workflow situations – and we can tackle yours, too. or visit our Contact Us page to get started.